They rose from dirt poor immigrants to the most powerful men in the country, how? On January 17, 1920, Prohibition began in the United States, the 18th Amendment to the United States Constitution making it illegal to manufacture, transport, or sell alcohol. By passing this amendment, the United States Government unknowingly gave rise to the largest criminal empire America has ever seen, the Italian Mafia. Between 1900 and 1910 over 2 million Italian immigrants entered the US. They entered America dirt poor and looked down upon, but saw an opportunity to gain power through capitalizing on the prohibition of alcohol. When alcohol was banned, the demand for it skyrocketed, and the Italians took advantage of the opportunity, bootlegging massive amounts of alcohol for distribution. By filling the market demand for liquor, these formerly poverty stricken immigrants now had more money then they knew what to do with. The Sicilian mafia had long existed in Italy, but were largely driven out by Mussolini, when he cracked down on their organization. The Sicilians expanded their empire to the US, primarily New York and Chicago, as did many impoverished families seeking to find a better life in the new world. The new generation of the mafia was led by the sons of Italian immigrants, who had spent the majority of their life in the US, feeling more at home in Brooklyn than Sicily. One of these immigrants was Salvatore Lucania, stepping foot in New York at age nine. Not speaking english, Lucania struggled during school. Dropping out at age seventeen, he ran small time rackets and was arrested in 1916 for selling heroin, serving six months. Lucania's break came in 1920 with the prohibition of alcohol, as he rose to dominate the illegal liquor trade on the East Coast. Luciano was mentored by Arnold Rothstein, the head of the Jewish mob in New York, who made millions from fixing the 1919 World Series. Lucania was the victim of an attempted assassination, being beaten, stabbed and left for dead by his boss Masseria, who feared his growing control over the bootlegging business. Lucania earned his nickname, 'Lucky Luciano' by not only surviving the attack, but killing his former boss and taking his place, becoming the head of one of the five warring crime families that ran New York. After eliminating the self proclaimed 'boss of all bosses' Salvatore Maranzano, Luciano chose not to crown himself a boss of bosses, knowing how futile the position was, instead seeking to create a long lasting organization known as 'The Commission' which would serve as a committee for the Mafia, which by then was made up of over 20 families across America, appointing himself as a chairman of the organization. New York, the capital of organized crime, was split into five main Mafia families, meaning five votes, while the family heads of Chicago and Buffalo got one vote each. The Commission’s purpose was primarily to peacefully solve conflicts between families, oversee mafia activity, and approve a new boss before he could take over a family. The Commission was founded in 1931, its last known meeting taking place in 1985. The head of the Chicago Outfit was Al Capone. Born and raised in Brooklyn as the son of Italian Immigrants, he was a Five Families gang member before moving to Chicago in his early twenties to cofound the Chicago Outfit, a massive Italian organized crime group, serving as a right hand man to his boss, Johnny Torio. When Torio was killed by a rival gang vying for control over Chicago, Capone took over, and quickly proved himself to be a worthy successor, making 100 million dollars annually, (which roughly translates to 1.3 billion dollars in today's money), through racketeering, brothels and bootlegging, keeping himself out of jail through bribery and intimidation. The fear of Capone was not unfounded, he ordered the murders of hundreds of rivals, and was known to bomb diners and shops who refused to buy his liquor, killing over 100 people, many of which were civilians. Capone’s most notorious act was the Saint Valentines Day Massacre, in which his men wore police uniforms and conducted a ‘raid’ on the North Side Gang’s hideout. The North Side men surrendered, believing they were going to be arrested, instead they were lined up against a wall and mowed down with tommy guns. The 1920s through 1960s is widely considered to be the golden age of Hollywood, one of the most popular genres at the time being the mob movie. These films sought to portray the violent and lavish lifestyles that these men led on the big screen, and were accused of glorifying the criminal life. Set in the tragic backdrop of the Great Depression, audiences identified with the rags to riches lives portrayed in the films, as well as the charismatic gangsters who lived them. Critics deplored the genre, believing that the films glorified the violent nature of the mafia, and the genre was attacked by The Production Code, a set of industry moral guidelines created by Catholic lawyers who sought to regulate the content shown in movies. The code banned the glorification of criminal activity as well as the vilification of authority, which severely restricted the ability to produce movies about mobsters. 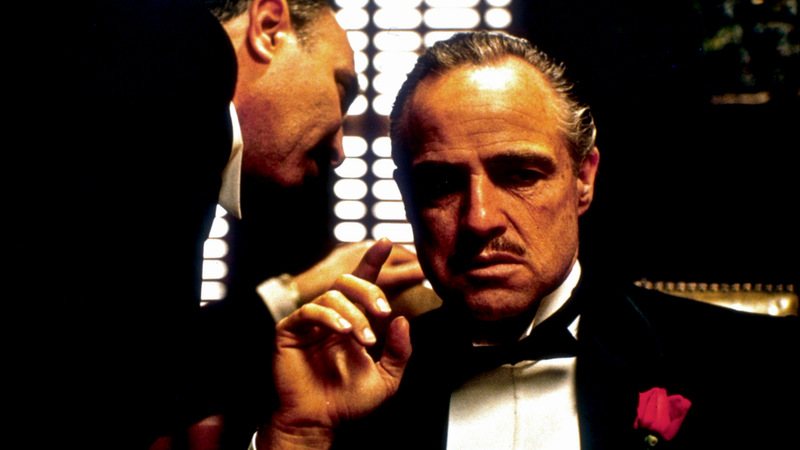 The genre was largely dead until the 1970s, when the release of cinematic masterpiece, ‘The Godfather’ revived it, breathing new life into the genre and paving the way for a multitude of gangster classics, including Godfather 2, Scarface, Casino, and Goodfellas, as well as the hit HBO television show, The Sopranos. Even after the Prohibition on Alcohol was repealed, the Mafia still remained powerful, switching from bootlegging to alternative sources of income including but not limited to, loansharking, robbery, prostitution and drug dealing. Luciano’s associate Benjamin ‘Bugsy’ Seigel sought to further the mafia’s reach by creating a haven for gambling and debauchery, in the relatively unknown, scarcely populated city of Las Vegas. Seigel chose Vegas due to its lax gambling laws as well as off track betting. He built a extravagant hotel and casino, naming it, The Flamingo, which served as a front for the Commission. The hotel changed the image of Las Vegas, from a small frontier attraction to a large scale resort center we know today, The Flamingo leading to the creation of the famous Vegas Strip. Unfortunately for Seigel, he didn't live long enough to see his own success, as he was killed for going over budget on the project. Lucky Luciano was eventually imprisoned in 1936 and later exiled from the US, he appointed his head enforcer, Vito Genovese, as the new head of his empire, but after facing murder charges, Genovese abandoned his position and fled to Italy. Next in line for the position was Luciano’s consigliere, (advisor) Frank Costello, who took power in 1937, and kept Luciano’s organization running smoothly, focusing primarily on running slot machines, illegal gambling, and casinos. Costello was widely respected throughout the mob, as well as high society, his advocacy for diplomacy and nonviolence, as well as his fairness in terms of splitting the wealth acquired by the syndicate between families and his distaste for drug dealing drawing admiration and loyalty from both sides. The character of Don Corleone from The Godfather books and films were largely based on Costello, a wise and powerful community figure that sought to bring justice to a society where it was a scarcity. Costello’s reign ended abruptly in 1957, when an attempt was made on his life by Genovese, who had returned to America, and wanted his original position back, as the head of Luciano’s crime family. Costello miraculously survived the attack, and even spared the life of his would be killer. Costello then met with Genovese, and chose to relinquish his position to Genovese, in hopes of avoiding further bloodshed. Costello retired in 1957, and served as a consultant to mafia members seeking guidance. By 1949, the mafia had grown into a nationwide organization, and despite maintaining relative secrecy, they nonetheless garnered attention from the Federal Government, who, in response to reports of a widespread organized crime syndicate that threatened everything from business to the political process, created the Kefauver Committee. As the increasingly bold exploits of the mob continued, the Kefauver Committee was given permission to investigate the mafias role in interstate commerce corruption, ultimately seeking to prove how powerful and widespread the mafia’s influence was, and how much corruption they spread. The committee held hearings in 14 cities, calling over 600 witnesses to testify, including Frank Costello. The committee hearing were broadcasted on television, showing the american people how powerful the organization had become. The results of the hearings were significant, leading to the eventual passing of the Racketeer Influenced and Corrupt Act, which created 70 crime commissions to attack the many heads of the mafia. The RICO act also allowed prosecutors far more freedom in prosecuting mobsters for crimes that they may not have directly committed, but took part in or ordered crimes, effectively removing the legal separation between the boss who orders a murder, and the soldier who carries it out. The act targeted racketeering in particular, making the laws regarding it more harsh in order to use the increased sentencing to convince mobsters to inform on one another. Racketeering is defined as making money through an unlawful enterprise, due to the vague nature of the definition, most crimes are considered to be racketeering. Under the RICO act, a person who is a part of an organization that has committed any two of 35 crimes can be charged with racketeering. Those who are found guilty can be fined up to $25,000 and sentenced up to 20 years in prison per each count of racketeering. In addition, all cash earned through the racket is confiscated by the government. As long as the mafia has existed, so has the Omertà code. The Omertà code is a vow of honor taken when one enters the mafia. The code states that one must, under no circumstances whatsoever, cooperate with authority, even if one is wrongly accused of a crime, they must not defend themselves by helping the authorities. Perhaps the most vital aspect of the Omertà code is the vow of silence, meaning that one cannot go to the government or assist them in any way when it comes to prosecuting criminals, regardless if they have anything to do with the mafia. Breaking this code meant almost certain death, the mafia not being known for their forgiveness pertaining to traitors. For over a century, the Omertà code has kept mouths shut, but that would all change with the passing of the RICO Act. The RICO Act struck a devastating blow to the Mafia, hundreds of gangsters breaking Omertà in hopes of lessening their sentences. In the years since the act was passed, the mafia has become a shadow of its former self, the Omertà Code losing all value in a world where mobsters could face twenty plus years for working with the organization. The RICO Act proved to be at its most effective during the ‘Mafia Commission Trial,’ in which the FBI arrested and prosecuted eleven men, including the most infamous mafia bosses alive, as well as the heads of all five New York crime families, effectively eliminating the Commission. They were charged for extortion, labor racketeering, murder for hire and more under the RICO Act. All eleven men were found guilty, all bosses were sentenced to 100 years in prison. Since the RICO Act was passed, there have not been any Mafia bosses on the level of Capone or Luciano, the closest being John Gotti, a mobster who took advantage of the chaos surrounding the RICO Act to seize control, murdering his boss Paul Castellano in 1985 and taking over as head of the Gambino Family, the most dangerous crime family in America. Gotti ran the family successfully, raking in over 100 million dollars annually, through managing construction, waste management, hijacking, loan sharking, gambling, extortion, drug dealing, and other criminal activities. Gotti’s reign came to an abrupt end in 1991, when he was betrayed by his underboss, Salvatore Gravano, who was facing several decades in prison under the RICO Act, and chose to turn states witness, testifying against Gotti, and leading to Gotti being sentenced to life imprisonment. For the better part of the 1900s, the American Mafia was the most powerful crime syndicate in America. Starting as dirt poor immigrants, they utilized prohibition to build their strength, eventually ruling both New York and Chicago through fear and intimidation. The Mafia laid the foundation for modern day Las Vegas, and inspired a film and TV genre still thrives today. Although the Mafia’s reign may have ended with the passing of the RICO Act, their legacy lives on.